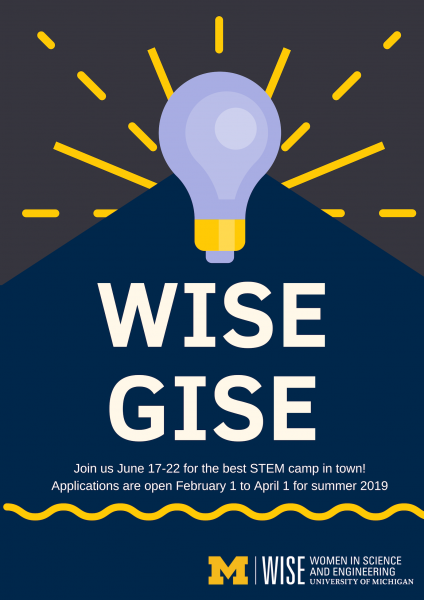 WISE Girls in Science and Engineering is a summer day camp for current 7th and 8th graders where real scientists engage students in dynamic, hands on experiments to foster curiosity and build confidence in STEM. The application will be open on Youthhub from February 1 to April 1. The camp will take place from June 17-21 2019.